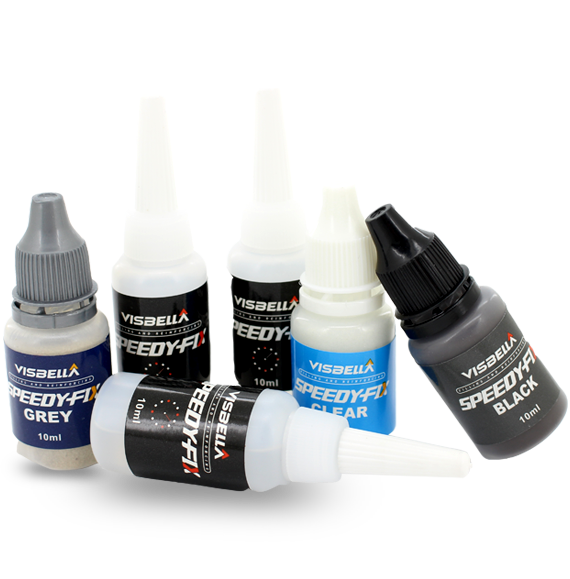 For repairs that require outstanding quality and superior performance, Speedy-Fix has become a perfect solution with its unique dual welding adhesive system. For repairs that require outstanding quality and superior performance, Speedy-Fix has become a perfect solution with its unique two part system. The adhesive and filling powder combination allows for complete and reinforcing repairs on most any crack, gap, crevice, or hole. These quick and easy repairs can be grinded, filed, sanded, and painted in just a short period of time. This unique dual welding adhesive system can bond to almost anything, giving you a broad range of applications to work with. Can I apply a second coat of speedy fix? 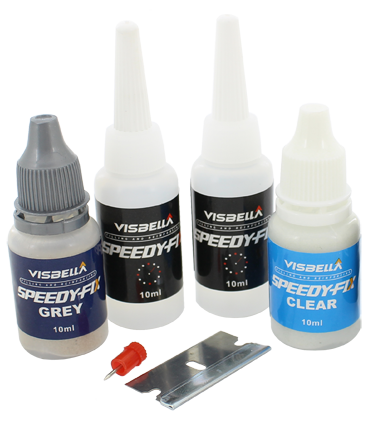 Will the speedy fix adhesive dry without the powder? Yes, the adhesive will function as a normal glue without the use of the powder, but will not form as strong of a bond as if you had used it in combination with the powder. Can a Speedy-Fix bond be removed if it has already dried? Common organic reagents such as alcohol, gasoline, or acetone will remove a Speedy-Fix bond.